Throughout most of recorded history, ruby has been the world's most valued gemstone. Even diamond was considered common in comparison to the supreme beauty and value of this glowing red gem. Named from the Latin word for its hue, ruber, ruby is the epitome of the boldest of colors: the gem of desire, passion, courage, and emotion. Early in the eleventh century, Persian sage al-Biruni was only conveying the popular wisdom of the time when he wrote that ruby has "the first place in color, beauty and rank" among all gems. Granted, the value of fine ruby relative to other highly prized gems wasn't as extreme in Bauer's day as it had once been. Around 1550, Italian goldsmith Benvenuto Cellini reported that the finest one-carat ruby cost eight times more than a comparable-quality one-carat diamond. By Bauer's time, the same ruby was only two times as expensive as its diamond equivalent. Nevertheless, a 2:1 value ratio between fine rubies and diamonds is impressive. Certainly, ruby's status as the most valuable gem of the age helps to explain why England took the rather drastic step of invading and annexing Upper Burma in 1885 when it learned a French company would begin mining of this gem at the famed Mogok ruby tract—the most celebrated source for ruby ever known and still the most important today. 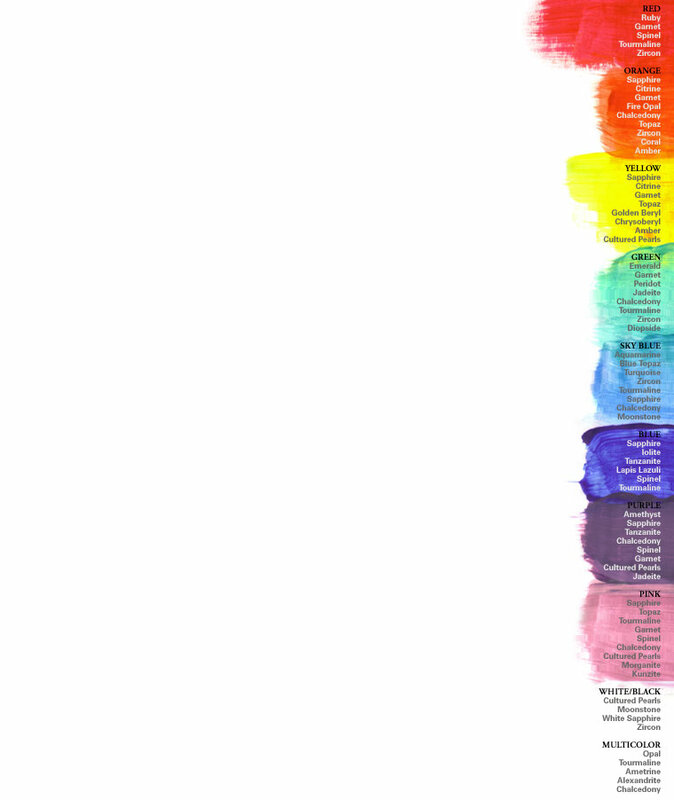 Although certain color tones are associated with different country's mines: Burma, now known as Myanmar, with pure reds, Vietnam with vivid pinkish rubies with exceptional clarity, Sri Lanka with more pastel softer pinkish reds, Thailand with dark red to burgundy, Kenya with translucent stones with juicy pure reds, Madagascar with pure transparent reds, color alone cannot tell you where a stone was born: a laboratory report may be required. When confirmed, stones from Burma's famed Mogok mine command a premium, particularly if the color is natural. Most rubies are heated almost to 2,000 degrees in order to maximize the red and remove secondary colors of blue and brown. Some rubies are also heated to improve clarity. Sometimes glassy residue can be trapped in fractures when the ruby cools. Heat enhancement is stable, does not require special care, and does not reduce the stone's value unless significant residue is present. If ruby shows no signs of heating, it is very rare. The stone's natural color must be confirmed by a laboratory report if it is to command a premium. The ruby must also possess a pleasing color and appearance. 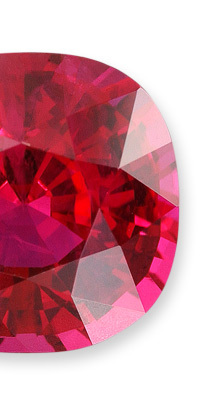 Ruby is most common in oval and cushion shapes. Other shapes may be difficult to find in sizes above a carat. Rubies above five carats are extremely rare and valuable. Ruby, like sapphire, is the mineral corundum, one of the most durable minerals, a crystalline form of aluminum oxide. Corundum has a hardness of 9 on the Mohs scale and is also extremely tough. In its common form, it is even used as an abrasive. As a result, rubies are the most durable of gems. Clean with mild dish soap: use a toothbrush to scrub behind the stone where dust can collect.